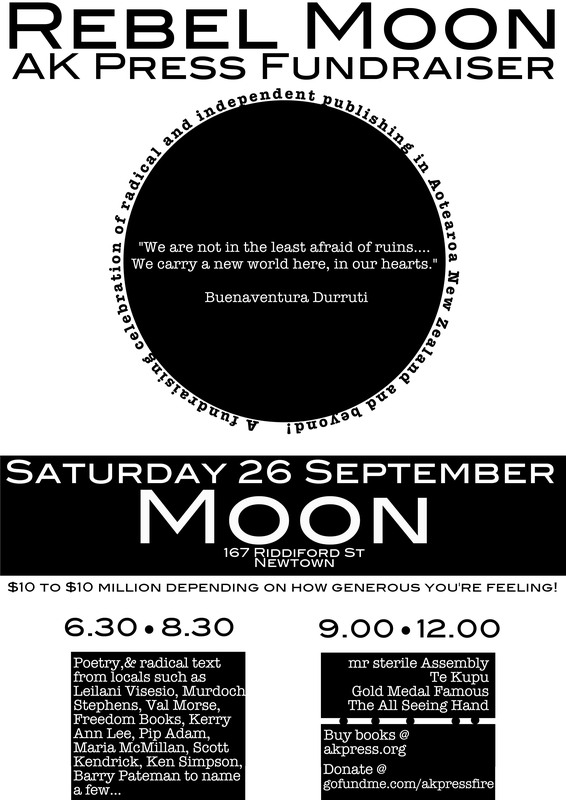 A fundraising celebration of radical and independent publishing in Aotearoa New Zealand and beyond! AK Press is a worker-run, collectively managed anarchist publishing and distribution company, in operation since 1990. On March 21st of this year, a fire in a building behind AK’s caught fire and the fire spread to AK’s warehouse. Two people living in the building died in the fire, much of AK’s inventory was damaged by water and smoke, and the city has deemed their building uninhabitable. While they have suffered a major blow they are carrying on and continue to publish and distribute anarchist and radical literature around the world, including to Aotearoa New Zealand. But they need all the help they can get and all money raised at this event will go directly to their fire relief fund. $10 to $10 million depending on how generous you’re feeling! AK Press books will be available for sale through The Freedom Shop. Hitting the road on Friday for a wee flurry of shows before recording. Been a while since commenting here, this is the first for the year, and it’s already a quarter through. Firstly, this easter weekend we having our first shows for the year on this mini-tourette of Whanganui/Palmerston North and Levin.It would be lovely to see you all, it’s been a while and will be nice to be out and about once again. Sunday afternoon 5 – Levin – Alternative Entertainment Bureau – 10 bands/10 bucks! 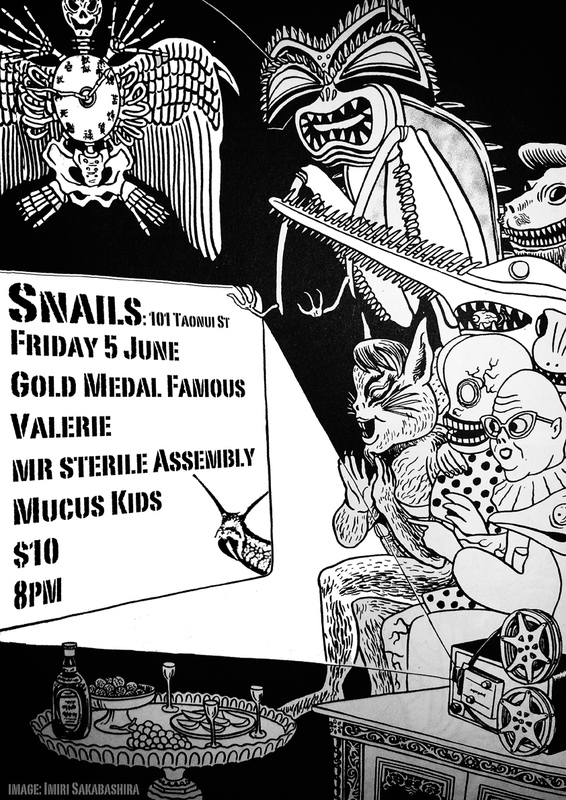 – with Black Chrome, The G/Nomes, Valerie and one of my personal all-time-favorites NZ punk bands No Idea! Next though, is work is progressing nicely on what will be our next album – with the working title of either Persona Ficta, or It’s All Over, yet to be fully decided. We’re finishing off the demos and honing some of the ideas, and stripping back others. We’re certainly leaning towards lean. It’s the thinking about it that often takes the longest and then ‘blink’ it’s all over.